Digital technology dominates our hyper-mediated culture, and some evangelists are arguing that in only a few decades it will completely surpass human abilities in power. But will computers be able to replicate and transcend every aspect of human intelligence? In particular, will computers really emulate the artistic urge, and create original works of their own? Can Computers Create Art? turns the argument on its head. 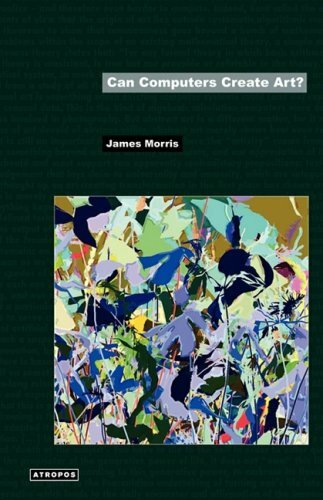 Looking at the philosophical underpinnings of computer technology, Morris contrasts these to theories of creativity, with particular reference to 20th century trends towards abstraction and media spectacle. In a wide-ranging analysis bringing together computer science, art theory, philosophy of the subject and neuroscience, Can Computers Create Art? uncovers the assumptions behind digital technology, and how it exemplifies the metaphysics of Western culture. James Morris is a lecturer in media theory at Ravensbourne College of Design and Communication in Kent, England. In a previous life, he spent five years as editor of the UK’s number one-selling monthly computer magazine.